Retail $32.95 SAVE 24% ! 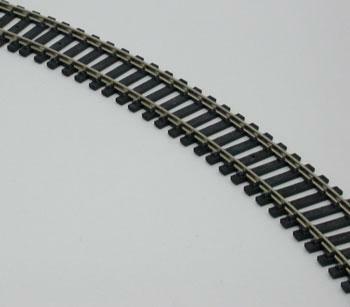 Five 36"-pieces of HO flexible track. Track is so flexible it may be used as straight or curved, though it is straight while in its natural state. Nickel silver rails and black ties that resemble wood. Track pieces are sturdy, well crafted, bendable to the side, and realistic. One Box of Five Pieces of 36" Superflex HO Nickel Silver Train Track. "Code 100 Super-Flex N/S (5) -- HO Scale Nickel Silver Model Train Track -- #178"
"Perfect for all track purposes"
This track is great for all layouts. It&apos;s length allows for long stretches of seamless track, and allows for track to be placed however you want. It eliminates the need for small pieces of track, and trying to get the correct number of curves and straights to line up turns. I highly recommend this product. Using this flex track was on of the best things I have done. Track laying was easy and I have cleaner lines throughout my layout.